The environmental health of the stream is of paramount importance to innumerable aquatic lives in it and beyond. 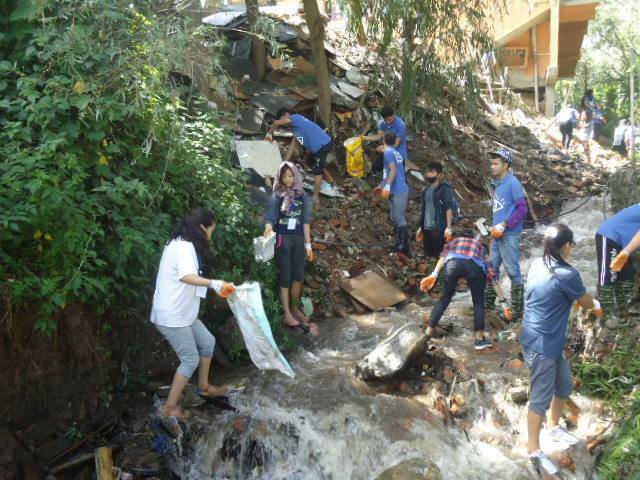 For the assurance of a clean and safe home, about sixty five members of Earth Guardians Bhutan CNR did a thorough clean up of the heavily polluted stream. It is also known that the downstream community uses the same stream to feed their paddy fields even though the water is quite toxic and waste-ridden. 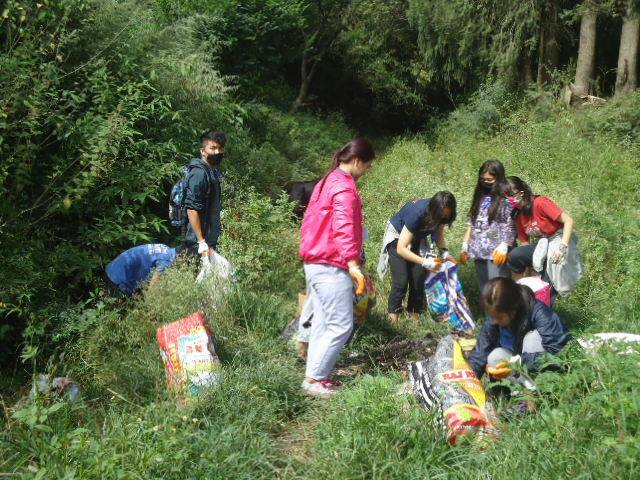 The zeal and enthusiasm of youth led environmental enthusiasts ensured the health of the stream and the vicinity of Metsina town. 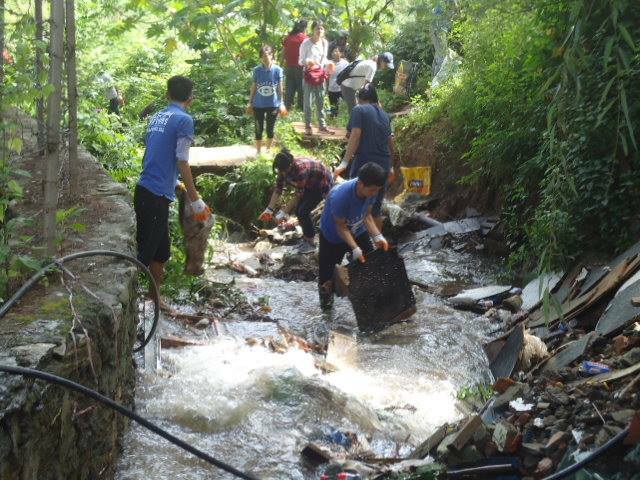 The stream was heavily polluted with wastes of all kinds being next to the automobile workshop and the shops. 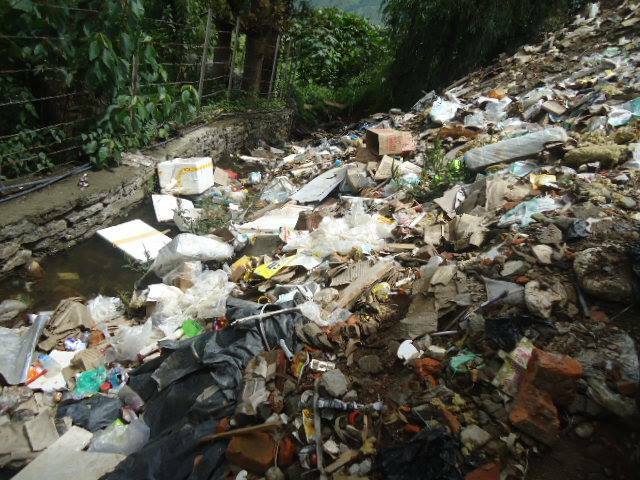 It has become the dump yard of Metsina town because the town doesn't have a single proper place to dump their wastes. 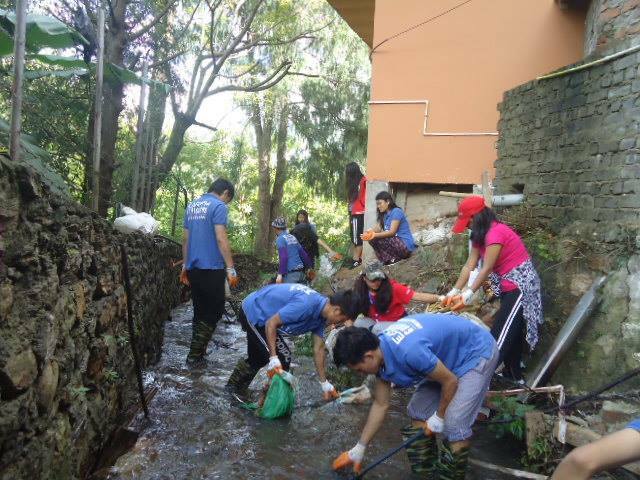 We collected over 180 sacks of wastes from the stream within four hours of our dedicated hardwork. Drenched and exhausted in the dirty stream, sixty five of us cleaned about 300 meters ofthe waste-ridden stream starting from the top of Metsina till the end of the town. We are happy to get the necessary help from the newly elected tshogpa(one of the political parties in Bhutan), Mr.Kuenzang Dorji. In his conversation with some of the office bearers of EGBCNR he expressed his interest and commitment to collaborating with us in any social activities in and around Metsina. We would like to thank him for the refreshments for our much deserved social and environmental youth campaigners. The cleaning campaign is funded by the College of Natural resources in fulfillment of its mandate as a concern institution for the social and environmental well being. We would like to thank the college management and look forward to similar support in near future. We also extend our heartfelt gratitude to the Environmental Officer of Punakha Dzongkhag who helped us to get the Municipal Waste collecting vehicle. Mr.Tshewang Lhendup, who an alumi of CNR and Assistant Research Officer with RSPN, also sponsored us with two cartons of mineral water. We would like to thank all our dedicated EGBCNR members for your unwavering support in all the activities and we look forward to the upcoming club activities!